1) Lego Friends – Both Ellie and Lauren are into Legos so I decided to include a small set for each of them. You can find this at Target. 2) Unicorn Stuffed Animal – I was SO not going to get them any stuffed animals but of course I failed at this goal. 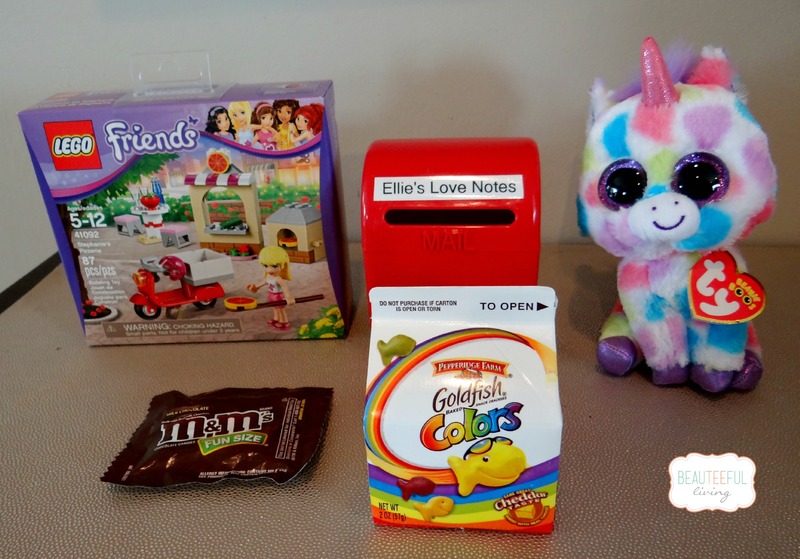 3) Mailbox – Since the girls love drawing pictures and writing sweet notes, I thought they could place their notes into these miniature mailboxes. 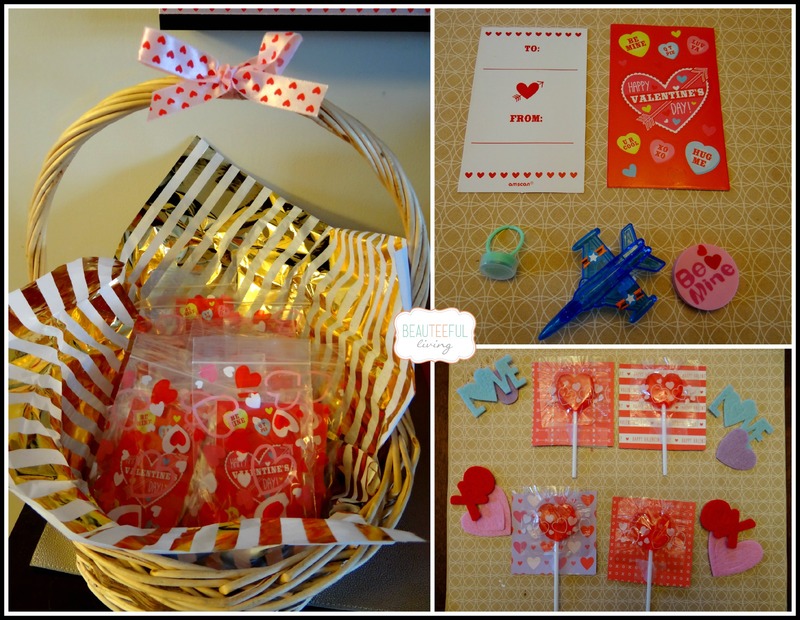 And while we’re on the topic of little Valentine’s Day gifts for kids, here’s a peek at what I put together for Ellie and Lauren’s classmates. For Ellie, there’s a sticker sheet, small toy, and an eraser. For Lauren, I put together felt stickers and a lollipop. We all know that Valentine’s Day isn’t about the gifts, flowers, or chocolate. It is about expression. If there’s one thing I try my best at, it is expressing my love to my kids each and every day. That said, I feel no guilt in buying into the whole thing about giving them little presents for a Hallmark holiday like Valentine’s Day. I completely agree with you. My Mom always did this for us and I follow that tradition. 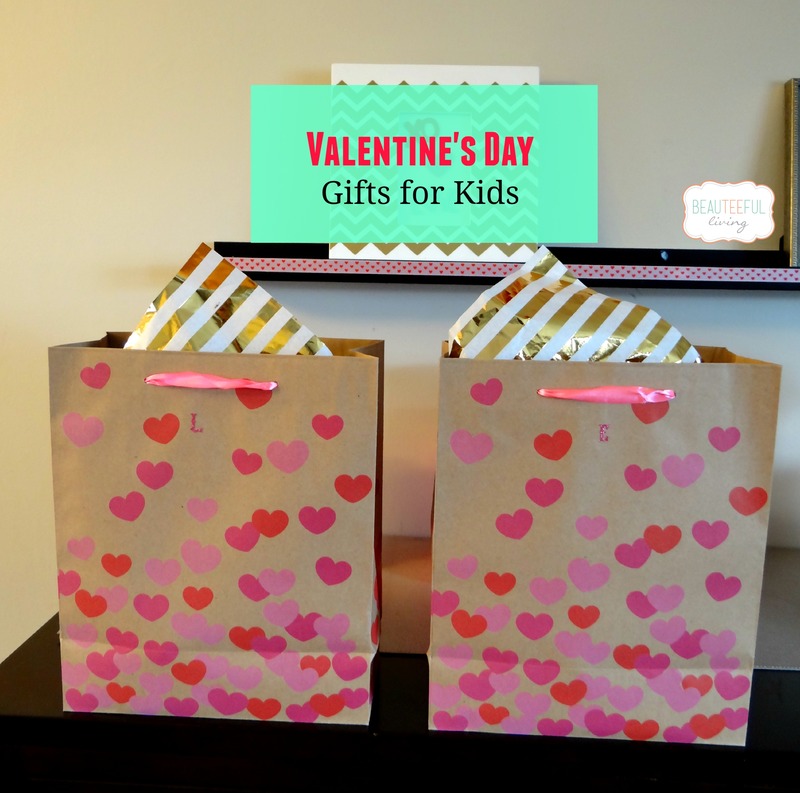 Even though we were on vacation this year, I packed little v-day gifts this year. That’s awesome that you packed the little gifts for your trip. I would’ve done the same thing too :). Thanks for commenting, Dianne. Cute! My daughter is only 2, but her daycare throws a party and I feel like people go way overboard on the sugar for kids that age. I’d much rather she get goldfish or some other “festive” snack or trinket. I want a little goodie bag! We are sent out for dinner with my mom in law for v day. I love how thoughtful these gifts are! I love the non-candy gift ideas! Love these ideas and especially love that it is not all about lots and lots of sweets! These gifts are a great balance! Thanks for the ideas! Thanks so much, Michelle! Enjoy your Valentine’s Day weekend!